Fox Home Entertainment has announced the release of the latest seasons of It's Always Sunny in Philadelphia and The League on Blu-ray and DVD. 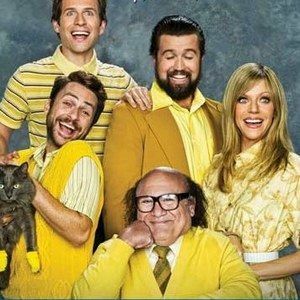 We don't have any pricing details for It's Always Sunny in Philadelphia: The Complete Season 7 Blu-ray, It's Always Sunny in Philadelphia: The Complete Season 7 DVD, The League: The Complete Third Season Blu-ray, and The League: The Complete Third Season DVD, but you can check out the cover art and special features below. To be a fan of The League, you don't need to know much about fantasy football, or sports at all. You just need to have friends that you hate. The ensemble comedy follows a group of old friends in a fantasy football league who care deeply about one another - so deeply that they use every opportunity to make each other's lives miserable. The League Movie Bringing Fantasy Football to the Big Screen? CONTEST: Win The League: The Complete Third Season on DVD!